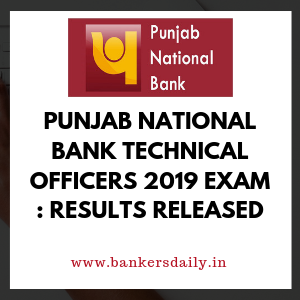 Bank of Baroda (BOB) has released the notification for the most awaited exam of the year. This time there are many changes in the notifications released and aspirants have to get accustomed to the changes as these changes are vital for the exams. In the recently released IBPS notification too, it has been mentioned in the notification that left hand thumb impression and a written statement has to be scanned and uploaded while applying for the IBPS RRB 2018. Likewise there is a change in the Bank of Baroda (PO) recruitment 2018 and it is the change in the Exam pattern. 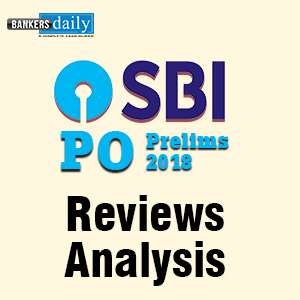 This is very important as the changes might get reflected in the forthcoming exams which are conducted to recruit Probationary Officer posts for the banking organizations. This time the marks for the Bank of Baroda PO 2018 is changed and it grabs the next position after the number of vacancies. The exam pattern of the Bank of Baroda PO 2018 is different from that of the previous year exam pattern. Last year all the sections in the online exam had 50 questions and 50 marks in total. This year there has been a change in the timing of the sections. Last year in 2017 , the exam pattern as said contained 50 questions in each section and the total marks of each section amounted to 50. 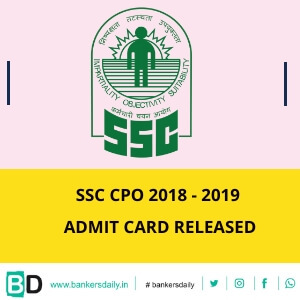 But in 2018 – Bank of Baroda PO Exam 2018 – PGDBF – Baroda School of Banking it is entirely changed. Reasoning and Computer Aptitude Section sections are integrated into one section and the total number of Questions in Reasoning and Computer Aptitude section is 50 and the total marks is 75. So reasoning section is one of the important sections and the aspirants who are strong in reasoning section can aim to score full marks in this section and can boost the score. The English language section consists of 40 questions and the total marks for this section is 50. The General awareness section has 40 questions same as that of the previous one and the total marks for General Awareness section is 40 marks. The Quantitative Aptitude section is the next one to note and the total number of questions in this section is 40 and the total marks alloted for this section is 50. As said in the notification , the General Awareness , Quantitative Aptitude and the Reasoning section will have questions in English & Hindi and the English section will have Questions only in English Language. The Total time to complete the Online Objective Exam is 2 Hours 30 minutes and the Descriptive section will have 30 minutes time. Please note that the Online Descriptive Section will start immediately after the Online Objective Exam gets over. So the total time for the Bank of Baroda PO Exam 2018 is 180 minutes (which includes the time for the descriptive section). Descriptive Section will be analyzed only when the aspirants get the required cutoff marks in the Online Objective Exams. If the candidate fails to get the required cutoff marks then the descriptive section will not be considered for that aspirants. Aspirants can check the official Notification of the BANK OF BARODA PO 2018 – Baroda Manipal School of Banking from the link that is mentioned below. Aspirants can apply for the post of BANK OF BARODA PO 2018 – Baroda School of Banking from the link that is provided below. Bank of Baroda PO 2018 - Exam pattern changed.